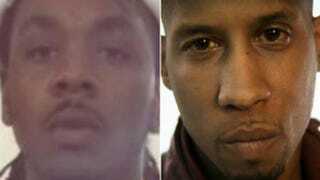 Two rappers affiliated with famous figures in hip-hop were killed over the weekend. Hussein Fatal, a member of Tupac Shakur's rap group the Outlawz, died Saturday in a car accident, the New York Daily News reports, although it has not yet been announced where the accident took place. Fatal's death was confirmed by the Outlawz' Facebook page with this post: "Rest in Paradise our brother Hussein Fatal he passed away in a car accident! Pray for his family & kids at this time!" Fatal, 38, was from New Jersey. Oakland, Calif., R&B singer Keyshia Cole, who was an early protégée of Shakur's, also expressed her condolences on social media. And nearly two months after Queens, N.Y., rapper Chinx—a member of French Montana's entourage—was gunned down, gun violence has claimed the life of Capo, a 22-year-old rapper affiliated with Chicago rapper Chief Keef, the Chicago Sun-Times reports. Capo was killed Saturday in Chicago during a drive-by. The gunmen escaped. Capo's manager, Renaldo Hess, spoke about how violence in that city is out of hand. "He was a good kid," Hess told the Sun-Times. "The streets of Chicago is something. He was murdered. I don't understand what is going on with all these kids." Chief Keef and Philadelphia rapper Meek Mill tweeted about Capo's passing. What makes Capo's death even more tragic is that the shooters who killed him ran over a baby as they tried to get away, killing the 13-month-old boy. Chicago police say that Capo was involved in a gang. According to Rolling Stone magazine, Chief Keef is planning a benefit concert to raise money for Capo's family, as well as for the family of the baby who was killed. For more of black Twitter, check out The Chatterati on The Root. Diana Ozemebhoya Eromosele is a staff writer at The Root and the founder and executive producer of Lectures to Beats, a Web series that features expert advice with scarily insightful people. Follow Lectures to Beats on Facebook and Twitter.